Prepare or buy your lemonade. 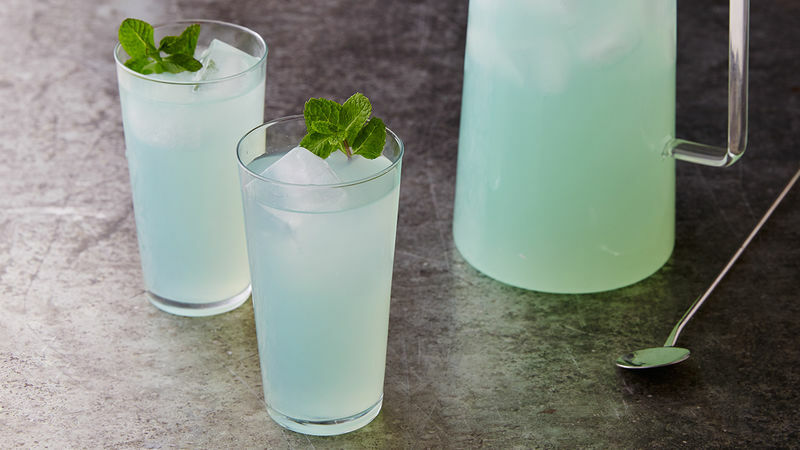 Fill the glasses with ice and then pour the lemonade over the ice about 3/4 of the way full. Add one ounce vodka and stir. Then top with 3/4 of an ounce Blue Raspberry Vodka. Garnish with a sprig of mint!